Clover Eco Sensitive Mobile Phone ! 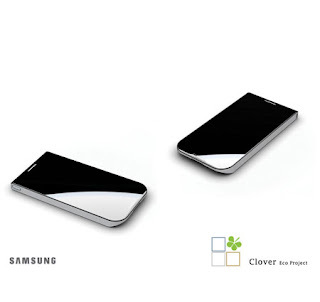 This is a new model and eco friendly phone concept called Clover. 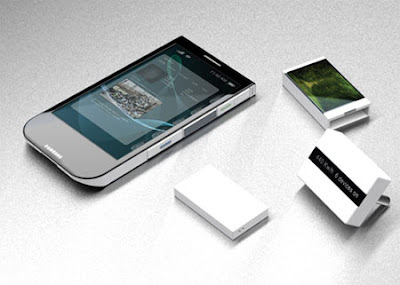 It has been designed to grow old with the user and that features module interfaces, sound, sensor, vision and location. 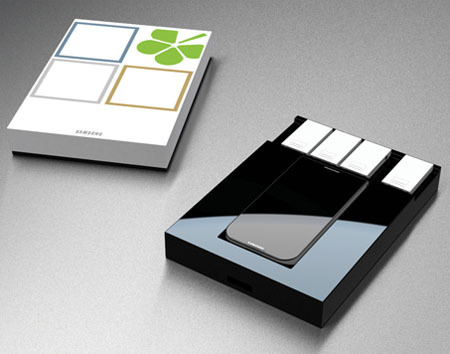 Moreover, this concept allows the users to customize the phone according to their need and taste. 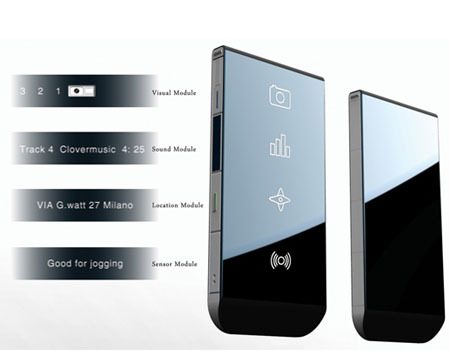 At the same time, users can add quite a few numbers of additional modules in order to make the phone more functional and attractive. You can have a different way of checking out the functions and a user friendly operating environment via the sleek black touch screen.